Many people who are injured or become very sick suddenly usually first seek medical treatment in a hospital emergency room. Because of this, ERs are often very hectic, busy and overcrowded places, in which doctors and other medical personnel have to make life and death decisions while under a tremendous amount of pressure. That leads to a significant number of emergency room errors, many of which can result in serious injury or even wrongful death. The fact that they are in a very pressure-packed situation in no way excuses a medical professional from their solemn responsibility to uphold the standards of medical care that are expected of them. Even in a messy, noisy ER, patients are entitled to the best possible medical care for their injuries. Yet, in spite of these standards and despite the expectation of the best care possible delivered in a professional manner, quite often, avoidable errors are made and patients are injured by them. When this happens, the emergency room error attorneys Houston residents can turn to for help are Richard J. Plezia & Associates. A few years back, a study was conducted in Texas regarding medical errors and injury and researchers discovered that the emergency rooms featured more adverse medical events due to negligence than any other section of a hospital. A great many emergency room errors happen due to miscommunication among doctors, nurses and other medical professionals, often because they are trying to are trying to handle patients too quickly, which leads them to become too careless to do a proper job. You may remember a prominent example of that phenomenon that happened in Dallas, when Texas hospitals came under international scrutiny after an Ebola patient died after what was allegedly a fatal mistake made by ER doctors and nurses. It seems the patient, who had just arrived from Liberia, had complained of symptoms that fit an Ebola diagnosis, but no one bothered to diagnose him; they simply sent him home with antibiotics. Later on, he ended up back in the hospital, where he was finally diagnosed with Ebola, but died while being treated, in part because the diagnosis came too late. Failure to relay instructions to other medical personnel in a clear and easily understood manner. Any type of emergency room error caused by medical negligence may be grounds for a medical malpractice claim, especially when a patient suffers injury or harm as the result of a preventable medical error. 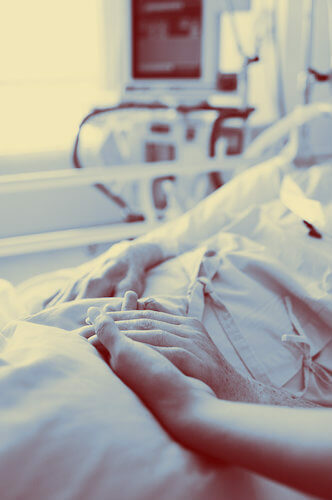 If you believe you or a loved one have been injured or suffered a wrongful death due to an emergency room errors, please contact emergency room error attorneys Houston at Richard J. Plezia & Associates as soon as possible, so that we can analyze the facts and discuss your options. All consultations are free and with no obligation.